Samsung GT-i9300 Photos Appear – This Isn’t the Galxay S3, is It? 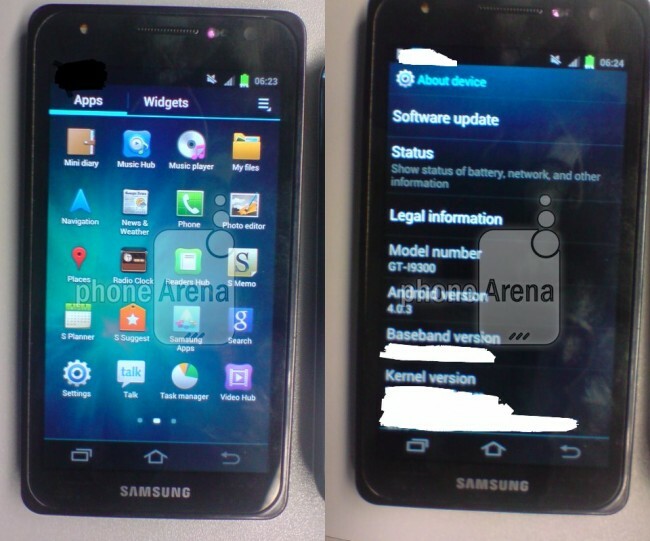 There are your first ever pictures of a Samsung device tagged with model number GT-i9300, a model number that has been rumored to be the Galaxy SIII a couple of times now. After seeing these shots though, are we all on board with the idea that the i9300 is not the SGS3? This may sound all “Android Elitist,” but this phone is ugly. It looks like a first-gen Galaxy S phone – maybe even on the level of the Fascinate. Now, it does have Ice Cream Sandwich, and yes that’s TouchWiz, on-screen soft keys and a front camera, but where is the “wow” factor? Is that a protective bumper that if removed, will make this phone look uber-sexeh? Eh, maybe.